The foundation stone of Ramchandi-Dinanathpur Primary Health Centre (PHC) under Katlicherra LAC in Hailakandi district was laid on Saturday. 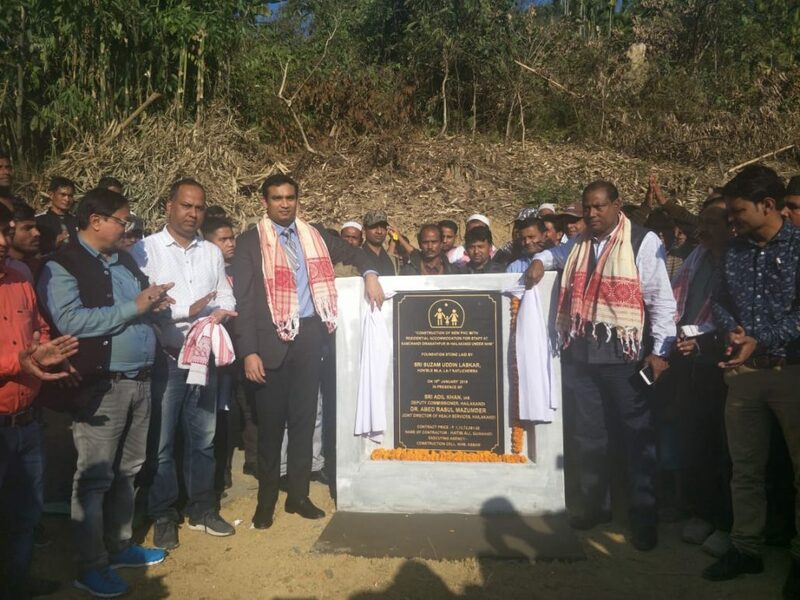 The foundation stone was laid by Katlicherra MLA, Suzam Uddin Laskar in the presence of Deputy Commissioner Adil Khan and Joint Director, Health Services, Hailakandi, Dr. Abed Rasul Mazumder. The new PHC will have residential accommodation for doctors and staff. Speaking on the occasion, MLA Laskar said he had pleaded with the Health Department to sanction the project since day one and was elated to see that his efforts have borne fruit with the laying of the foundation stone. Addressing the gathering, Hailakandi Deputy Commissioner Khan said it was a red-letter day for Hailakandi district as the new PHC would cater to around 22,000 populace of several interior places. Khan said that health and education are prime movers of society and without them no society can forge ahead. He said there will be development in the entire Ramchandi-Dinanathpur area once the PHC in the Hailakandi district comes up together with a women’s college, for which land has been acquired by the administration. The project in Hailakandi under National Health Mission will cost a little over Rs. 1.13 crore.